The training was intellectually-stimulating and trainers were engaging. It was definitely worth attending! The capital of Czech Republic, Prague, is one of the largest cities in the European Union. It has been the centre of social, political and economic hustle-bustle since the very beginning and still continues to be one of the major economies of the region. With the history of such strong aesthetic values, coupled with economic growth and social progress, pursuing CSD certification in Prague is recommended for a kickstart to your career. The KnowledgeHut institute now brings its five-day long workshop for the Certified Scrum Developer certification in Prague. The trainees will be introduced to the basics of CSD training in Prague by an expert tutor through E-learning, following which they will be given material on the facets of the electives concerning the coaching. 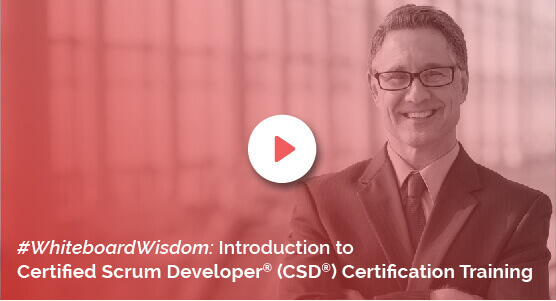 Thereafter, the trainer will give demos of the technical track of CSD course in Prague along with hands-on practice sessions for the much-required practical experience of working with Scrum tools. In the end, there will be a revision of the entire course for the trainees to retain better. The academy strives to give you maximum benefit at minimum cost. When you enrol for Certified Scrum Developer training in Prague, you get a two-year membership with Scrum Alliance and a 100 days free access to the Agile & Scrum e-learning program. At KnowledgeHut, utmost care is taken for the individualistic development of each of its trainee. When you register for Certified Scrum Developer certification in Prague, the fee you pay is inclusive of Scrum Alliance Certification Examination Fee. The institute follows Scrum Alliance approved course material and aims to teach every possible aspect of the course.